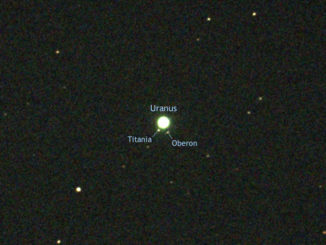 Clear nights of early Northern Hemisphere autumn offer ideal opportunities to track down the two outermost planets of the solar system, Uranus and Neptune. What’s more, you don’t need a big telescope to find them. We show you how to locate these gas giants using binoculars. The Moon also passes close to Neptune on 20 October. 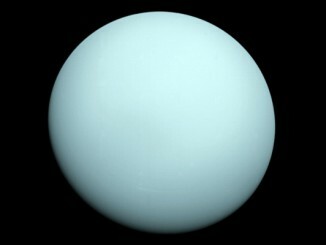 Humanity has visited Uranus only once, and that was exactly 30 years ago. NASA’s Voyager 2 spacecraft got its closest look at the mysterious, distant, gaseous planet on 24 January 1986. The probe sent back stunning images of the coldest planet known in our solar system and its moons during the flyby, which allowed for about 5½ hours of close study. 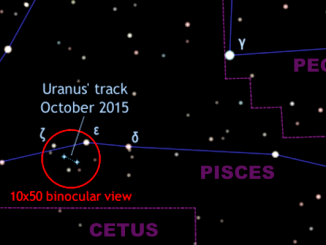 Uranus, the seventh planet from the Sun, reaches opposition on 12 October. It is therefore best placed for observation during 2015 and reaches a respectable altitude as seen from the British Isles. It can be seen with the naked eye from dark sky sites, so here is our guide to tracking down this gas giant during October using nothing more than an average binocular. 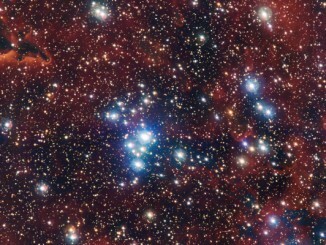 This is a young open cluster of stars known as NGC 2367, an infant stellar grouping that lies at the centre of an immense and ancient structure on the margins of the Milky Way, captured by the Wide Field Imager (WFI) camera on the MPG/ESO 2.2-metre telescope at ESO’s La Silla Observatory in Chile.